1. After the shoes are removed, clean up the lands the shoes ride on. If the lands are grooved from the shoes, replace the backing plate. Place a small amount of moly-lube on the lands. Do not use too much. Excess lubricant attracts dust and debris that can cause the shoes to stick. Cleaning up too much of the rear plate can cause corrosion issues. 2. Inspect the teeth on the self-adjusters. 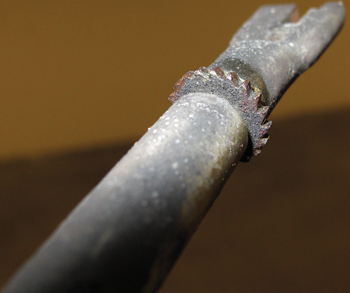 Rounded, broken or worn teeth can cause the adjuster to malfunction. Clean and lubricate the adjusters. A little bit of lubricant can go a long way. 3. 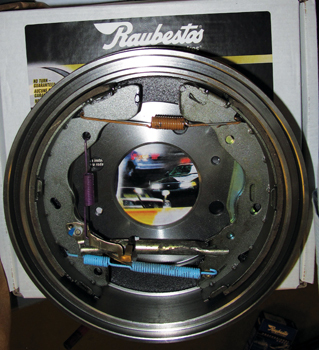 When a drum is off the vehicle, assemble the shoes and hardware in the drum. 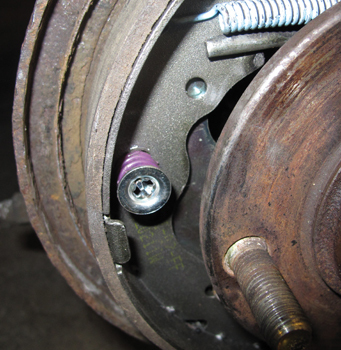 The adjuster can be set so only a small adjustment has to be made on the vehicle. You can place sockets that match the size wheel cylinder or posts. 4. Be aware, most rear brake hardware kits might have two different length shoe anchors. If the shoe seems too loose or too tight, check the parts bag for an alternative part. Parts manufacturers do this to eliminate inventory, but it can drive you crazy. Hybrids and re-generative braking are not new to US consumers. In Europe, hybrids are just starting to be sold in significant numbers. While we have not had any significant safety problems with regenerative braking, some consumers might trade in their Prius if they knew when they hit pedal it was not doing anything mechanically. That could have been the case with automaker Seat Germany’s “Brake Energy Recovery System”. The system collects energy usually lost when a car brakes, and then uses this energy when it accelerates again. But to illustrate the concept, the advertising agency ran a stunt in which taxi passengers saved money off their fare whenever the brakes were applied. 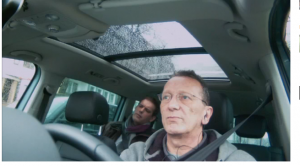 In the stunt, the system was connected to the meter of a Seat Alhambra taxi so every time the driver used the brakes the meter would run backwards. Cameras were hidden inside the car and random passengers were picked up around Dusseldorf to create this video. This is a great example of how safety and a sense of humour can be used to sell a car. Mercedes is showing off their Brake Assist feature that can significantly reduce stopping distances in panic situations. Brake Assist detects circumstances in which emergency braking is required by measuring the speed with which the brake pedal is depressed. Some systems additionally take into account the rapidity of which the accelerator pedal is released, pre-tensioning the brakes when a “panic release” of the accelerator pedal is noted. 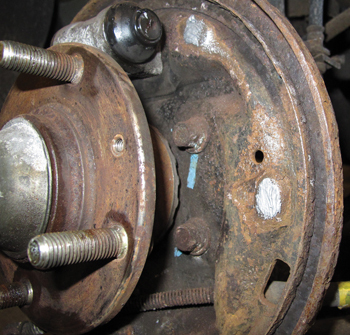 Many drivers are not prepared for the relatively high efforts required for maximum braking, nor are they prepared for the “buzzing” feedback through the brake pedal during ABS operation. If an emergency develops, a slow reaction and less than maximum braking input could result in insufficient time or distance to stop before an accident occurs. EBA is designed to detect such “panic stops” and apply maximum braking effort within milliseconds. It interprets braking behaviour by assessing the rate that the brake pedal is activated. I am calling “shenanigans” on this crash and the driver who is claiming brake failure on an almost brand new car. 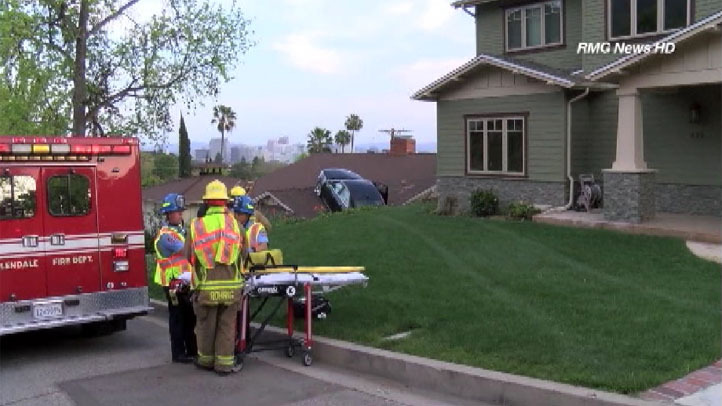 In an incident that left neighbors in a Glendale, California, neighborhood surprised but relieved that no one was hurt, a man lost control of his black Cadillac as he drove down his steep driveway Saturday evening. The car blew through a neighbor’s yard, clipped a house and went airborne — landing on the roof of a house. The wife told CNN affiliate KABC that her husband, couldn’t stop as they turned the corner from their hillside home. There was something wrong with the car, she said. “As soon as we hit the corner, the airbags deployed and I didn’t even see where we were going from there because the view was obscured,” said the passenger. Neighbors rushed to the scene. One grabbed a ladder and helped the couple off the roof. 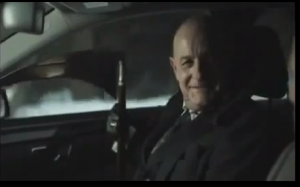 “You know I’ve seen other similar collisions. We have a lot of hillsides here in Glendale. But this was very unique that it landed the way it did and didn’t go through the roof of the home and cause some injuries,” Glendale police Lt. Scott Bickle told CNN affiliate KTLA. Neighbors told officers Saturday’s incident was the second time the man crashed into a neighbor’s house while trying to drive down his driveway, said Glendale police Sgt. Sean Riley. I am almost willing to bet the 60 year-old driver is suffering from some sort of circulation problem with his legs. It makes his feet numb and his legs week. This can prevent the driver from being able to press the pedal hard enough to stop the vehicle under certain situations. Coupled with poor reaction times, it can be deadly. To blame the car is BS. The driver will need to take a driver’s reevaluation test to determine if he is still able to drive safely.